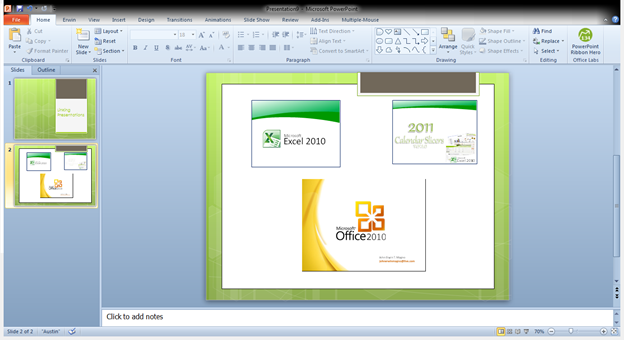 Have you ever experienced losing some of your PowerPoint File during your Presentations? Too many Presentations to Present? How about putting it into a slide and just link your presentations to it. 1. 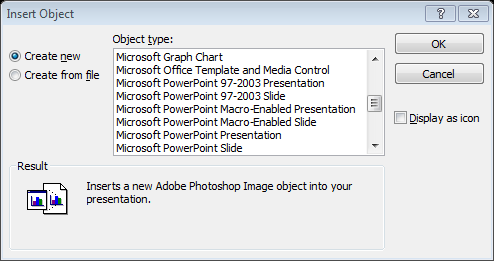 Open a file or make a new presentation. 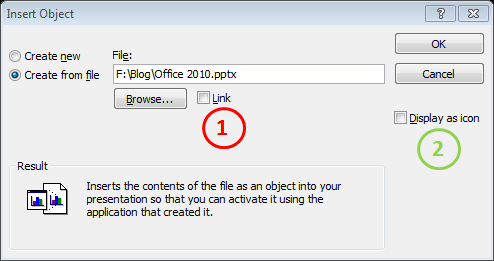 (1) Link – This checkbox will automatically inherit changes from the PowerPoint File you’ve selected. Once you have clicked “Ok” the object will appear. 7. 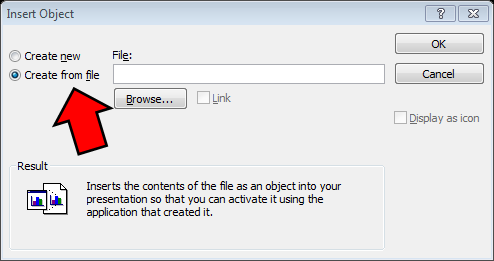 Try running your Slideshow, and on the slide you’ve inserted the Object(s) Select on it. and you’ll be directly linked to that presentation. Kinda cool actually! 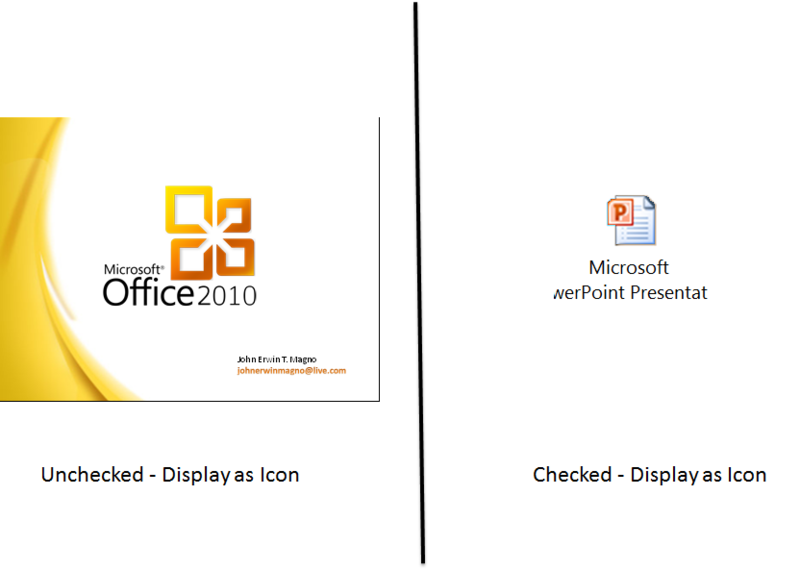 This entry was posted on Tuesday, February 8th, 2011 at 9:17 pm	and posted in PowerPoint. You can follow any responses to this entry through the RSS 2.0 feed.